Unlike the soil characteristics of other burial grounds, the 215-acre Nirvana Memorial Park in Klang distinguishes itself with the presence of red and yellow soils, which are two auspicious colours symbolizing prosperity from the Feng Shui perspective. 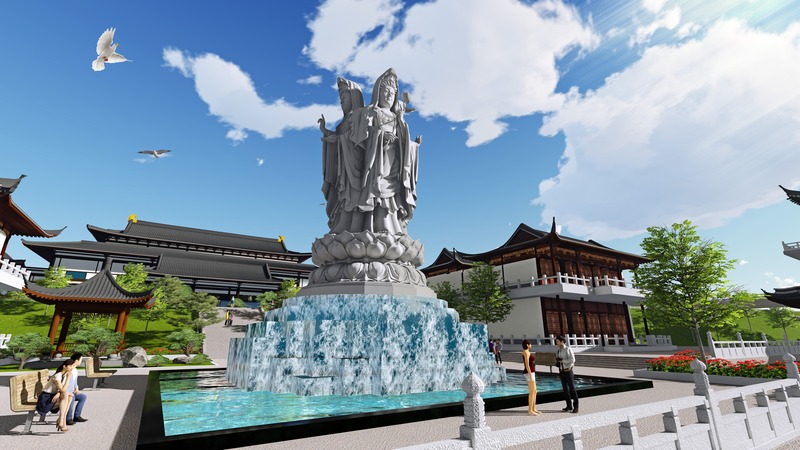 Highlights of this memorial park are the four-faced Guanyin statue for endless blessings, the awe-inspiring Buddhist stupa symbolising protection, a variety of burial plots, a Christian Memorial Park, a Three-saints Temple equipped with divine blessings and a columbarium for distinctive eminence. The variety of burial plot choices include Royal Family Burial Plots, Super Family Burial Plots, Family Burial Plots, Double Burial Plots and Single Burial Plots. Each of these carry different tomb designs located in the land filled with good Feng Shui. 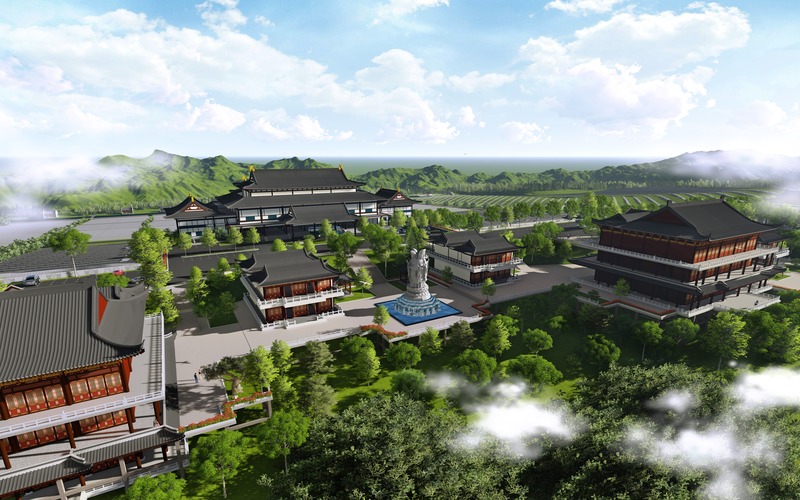 Additionally, the Nirvana Memorial Park in Klang has burial plots catering to the needs of Buddhists, Taoists and Christians as well. The Family Burial Plot at Nirvana Memorial Park in Klang makes a distinction by offering personalized options to suit your desires in creating a unique eternal ‘palace of art’. Designed to mark the journey home for the departed while infusing future generations with pleasant recollections of dearly departed loved ones, the Royal Family Burial Plot takes families back to their roots, whilst the Super Family Burial Plot immortalizes the history of a family with commemorative remarks and other remarkable accounts of loved ones. Nevertheless, each family burial plot immortalizes a showcase of glory throughout different generations likened to a personal family courtyard that champions togetherness as you bask in the beauty of the memorial park. Nirvana Memorial Park in Klang is not only a final resting place living up to the spirit of the land of happiness but also serves as a spiritual sanctuary for posterity to hold departed loved ones in fond memories, transcending space and time. Gone are the days of people associating cemeteries with the stereotypical sombre setting that implies only a solemn and mournful recollection. Furthermore, the Three-saints Temple comes with divine and eternal blessings. Standing majestically in the middle of it, is a column filled with countless Buddha statues. 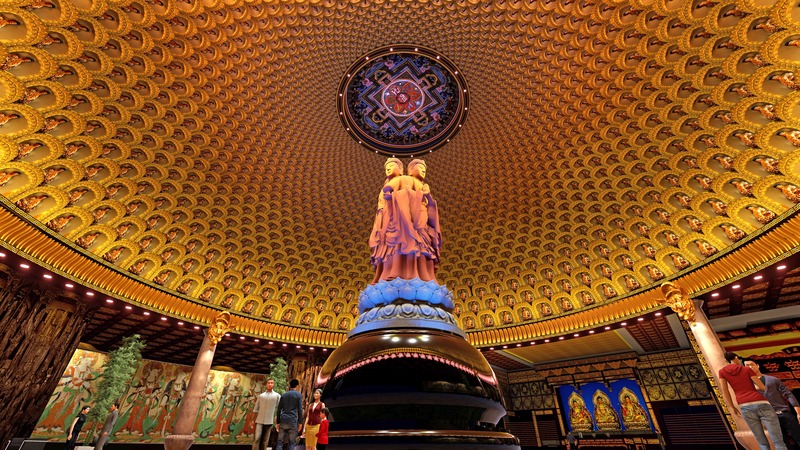 The ceiling is also crafted with many exquisite Buddha themes to usher in divine blessings. The harmonious lighting connoting the presence of an auspicious dragon guarding its surroundings makes it the perfect place to comfort your soul with spiritual tranquillity as you reminisce in an environment that brings you closer to nature’s breathtaking scenery. It is a majestic structure that fascinates you with marvellous design and perfectly blends the ancient and modern architectural vibes for a strong sense of peace, auspiciousness and tranquillity.